Recent work on children's digital cultures has identified a range of literacies emerging through children's engagement with new media technologies. 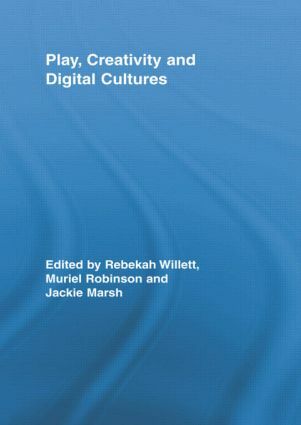 This edited collection focuses on children's digital cultures, specifically examining the role of play and creativity in learning with these new technologies. The chapters in this book were contributed by an international range of respected researchers, who seek to extend our understandings of children's interactions with new media, both within and outside of school. They address and provide evidence for continuing debates around the following questions: What notions of creativity are useful in our fields? How does an understanding of play inform analysis of children's engagement with digital cultures? How might school practice take account of out-of-school learning in relation to digital cultures? How can we understand children's engagements with digital technologies in commercialized spaces? Offering current research, theoretical debate and empirical studies, this intriguing text will challenge the thinking of scholars and teachers alike as it explores the evolving nature of play within the media landscape of the twenty-first century. Mimesis and the Spatial Economy of Children’s Play Across Digital Divides: What Consequences for Creativity and Agency?